Air travel is arguably the worst. There are long lines, airport food is somehow perpetually horrific, everyone is grumpy, someone is always late, and who the hell decided to bring a cranky baby on a flight departing at five in the morning. There’s so much else to worry about that you’re probably not wondering, “hey, what about bed bugs?” Well, my friends. I have bad news. 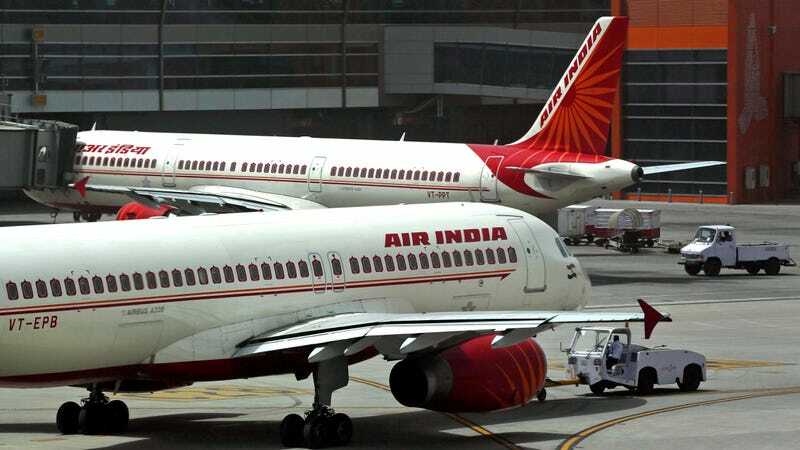 According to Fox5NY, bed bug infested seats were spotted on Air India flights from Newark Liberty International Airport to India. That might not sound bad, you might be able to tell yourself that you’re never going to fly to India so what does it matter. But those bed bugs had to get there somehow. And whoever left them on the plane probably left a few all around the airport. People were, understandably, pretty pissed off about it. And those babies I mentioned earlier? Well, there’s one case of an infant covered in bites and bleeding. Which is pretty horrific. People heading out for vacation have ended up just traveling to India for an extended medical leave. The world is sufficiently terrible, my friends. For all its struggles, there is kind of something nice about being able to tune out of the rest of the world on a long flight. No phone calls, no breaking news stories, no Facebook posts someone wants you to pretend to care about. But, no. We can’t even have this one moment in the sky. We have to worry about bed bugs. Which is also making me wonder how often those planes get, y’know, cleaned. Ugh.